When you think about your dream home, what do you imagine? A view over the ocean? A games room? A Jacuzzi? Something a bit more traditional, near farms and small village fetes, or a new build in the middle of a bustling city? Everyone’s ideal home is different, and you’re probably thinking that your perfect house is too expensive, probably even unobtainable. But wait just a moment! Did you know that there are thousands of empty homes and other properties, just sitting there, waiting for people to buy them on Foreclosure Listings Websites? In fact, there are so many that the prices have been slashed and you can save hundreds of thousands of dollars. How is this possible? Foreclosures are buildings which, for one reason or another, have been repossessed by governments, banks, or private firms. Some individuals are also looking to part with their property quickly, so are willing to take much less money than they normally would. With a huge excess of properties on their books, many establishments are looking for quick (and therefore cheap) sales. You can find homes and other properties in perfect condition, some that need a little work, or some that need a lot of work, saving you a huge amount of money: 10%, 25% or even 50% on their true retail value. 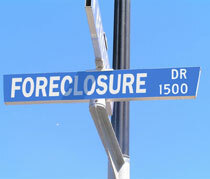 Foreclosed Properties Websites are for anyone who is looking to purchase property. You can find business space, land or homes, so long as you have the money. Now, of course, most people don’t just have hundreds of thousands of dollars sitting in their accounts, so several of these sites also offer support in finding funding (such as a mortgage), and you can also check market trends to find out when the right time to buy might be. Several foreclosure sites will offer professional advice and training, helping you to make informed decisions about the housing market. You can even find out about local schools, crime rates, amenities and more, helping you to identify which buildings are suitable for your future. Our number 1 ranking site in this category is RealtyTrac. This offers up to date information on available properties, as well as information on market trends, plus plenty of useful information to guide you through the process. It’s ideal for buyers who need a bit of support in understanding how the system works. In a close second place, ZipRealty takes your personal preferences into account when searching for properties, allowing members to navigate and explore properties through a user-friendly interface. Its search features allow you to be really specific about what you’re looking for, so you won’t spend your life wading through properties you have no interest in. In third position, Foreclosure.com allows you to view buildings and make offers online, with a huge database of properties in the US. If you’re looking to move house or invest in properties, foreclosure listing sites are a must. You can find brilliant deals on perfectly good buildings, saving you substantial amounts of money. In essence, it means that your savings go a lot further. As well as allowing you to locate these discounted properties, foreclosure sites also provide tutelage to bring you up to speed on current property market trends so you can make more informed purchasing and selling decisions. Now, time to warm up the Jacuzzi! Sometimes, no matter how many extra long walks you go on, and no matter how many chocolates you don’t eat, your weight just won’t go down. It can be hard to really understand the reasons for this, especially if you think you’re doing everything that you ought to. We’re told to exercise more and eat less, but some scientists are suggesting that such advice is misinterpreted or misguided. In fact, eating ‘the right’ food, not ‘less’ food, combined with regular exercise, is often seen as the best way to improve your health and fitness. There’s more to weight loss than simply continuing on with fingers crossed; the people who lose weight and keep it off are often much more aware of what they’re eating and the effects of the exercises they’re performing. That’s where Diet and Fitness Software helps: these programs allow you to track what you’re eating and the benefits of your workouts, offering tools to support you. This helps keep up your morale, whilst assisting you in tracking and monitoring your lifestyle so you can identify areas which need improvement. For example, many diet programs will offer a range of healthy recipes based on the food you like to eat, and the foods which your body needs. You can then keep a food plan, making sure your meals are varied and interesting, as well as nutritious. Meanwhile, tracking calendars will help you to develop exercise routines, making sure that you’re not missing out on your regular workouts. These can then vary as your fitness improves, making sure that you’re always improving in realistic steps. We were particularly impressed by Diet Power, a well-established software package which analyzes your eating habits and makes recommendations to ensure that you’re properly nourished. It learns how your body is changing and what it will need, offering in depth nutritional break downs of a huge array of foods, with exercise tips and tools. Weightmania Pro also piqued our interest, with cloud tools to help you track food and exercise when you’re not at home. You can even track weather, temperature, and how much sleep you had, to see if those factors have affected your weight loss. Meanwhile, Weight By Date offers a great selection of online and offline features, including hundreds of exercises and systems which track your vitamin and mineral intake, making sure you’re healthy as well as fit. These software packages are suitable for anybody to use. If you’re feeling a bit sluggish, you might discover that your diet is lacking iron, for example. Or perhaps you just can’t shift those extra few pounds before your wedding? Using various analysis tools, you might find out that your cereals are high in sugars. It’s all about balance, and these products make it easier than ever to check on what you’re eating over time, to make sure that you’re not inadvertently over-indulging or lacking in any particular food type or nutrient. So, Exercise & Diet Software can really be useful to anybody who is interested in staying healthy and fit. They’re often far cheaper than hiring a professional dietitian and exercise specialist, whilst also offering personal, flexible advice as you advance through the program. Why not peruse a few of the sites we’ve reviewed to see which software program offers the tools and support you’re looking for? We all reach that stage when it’s hard to keep weight off, or when we aren’t quite as pert as we once were. Suddenly, we begin to notice that our favorite clothes don’t fit quite as well as they used to, or the household food bill has crept up. Whether you want to lose a little weight, improve your muscle tone and body image, or simple want to feel fitter, Fitness Websites have plenty of tools and tips to keep you motivated. Why might you want to use an exercise website? A major reason some people choose to use them is to lose weight. It’s well known that exercise burns off fat, and plenty of members take advantage of the fat-burning workouts that are available on these sites. There are often tools to help you track your progress (in terms of weight loss and body size) and you can even receive support from a professional trainer or from a group of people in a similar position to yourself. Consequently, workout websites also act as great motivational and community tools, helping you to find friends who understand what you’re going through. 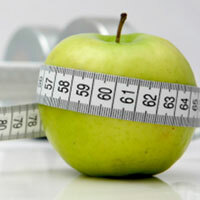 Some websites will also offer diet tips to help you shed a few pounds, including tasty, healthy and affordable recipes. Other people use fitness websites to improve their general health and their body image. For some people, they want to find exercises which will build muscle. For others, it’s about working on your internal organs to make sure they’re fit and healthy. Workout websites allow you to select the kinds of exercises you wish to carry out, often allowing you to build and track exercise schedules. You can even view videos of techniques, or follow written guides with diagrams. There are mobile apps available from some of the sites we’ve reviewed, which provide tools to track and monitor your activities and foods. So, whatever you’re hoping to achieve, there’s help available. Our number 1 review position went to Jillian Michaels, a tailored system which responds to your particular lifestyle and body. One size does not fit all, and this site understands that everyone is different, and that life can interfere with a workout schedule sometimes. It also focuses on the emotional needs of its members, providing support and motivation whenever necessary. Our number 2 spot was taken by Daily Burn, with a selection of fun free apps to keep you going. They combine dietary and fitness features to provide an all-round package. Closely following, in number 3 position, was Fitocracy, a website which offers professionally designed plans, a range of useful self-monitoring tools, plus the option to hire a real life coach to help you out. Modern work and life can make it difficult to maintain a healthy body we feel comfortable in. Our jobs have become more stationary, less physical, and subsequently our physical fitness has moved to the home and gym. Workout websites offer affordable options with professional, accessible advice for anyone who wants it. A wealth of useful information is available at your fingertips, without having to pay the world to join a gym and hire a private trainer. So, whether you want to fit into those old jeans, improve your body image or train for that charity run, there’s plenty to choose from. Everyone knows that getting a new job is never easy. Never mind the whole ordeal of learning about the new position, actually obtaining an interview in the first place can be a bit of a mine field. It’s often the case that dozens or even hundreds of people apply for just one position, so how are you meant to stand out from the crowd? Well, the first thing an employer sees, before they even get to speak with you, is your resume. As such, it’s vitally important that your resume sells you as a potential candidate for the job, and that’s where CV and Resume Writing Software comes in handy. 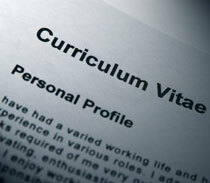 A resume or CV is something most people don’t have to write very often, and they’re glad of it. In reality, bosses and employers see hundreds or thousands of CVs and have to sift their way through the pile. Even if you have the skills and experience they’re looking for, if you can’t write those down in the correct way, your resume might end up on the trash heap. Curriculum Vitae Writing Software tends to work like this: you’re asked a series of questions about your life, employment, skills and otherwise. Afterwards, the software uses this information to write your resume for you. You can then easily switch or delete sections, add new bits of information or choose options which will rearrange the information to make it more suitable for a particular industry or job. The software might also make suggestions on how to write a particular phrase so it sounds more professional. Additional features might even include a personal CV website, or an app for your phone so you can alter your resume to suit a job you’ve seen when out and about. ResumeCompanion received our number 1 review because it helps its users out with their resume, plus a range of other documents including cover letters. You can even create and download a basic resume for free. In second place, the ever popular Pongo offers do-it-yourself resume building features, plus a team of skilled resume writers if you need additional support. EasyJob took third place, with a free software package and a whole host of documents which are career-specific, giving users an opportunity to see how a professional resume should appear. Anyone can use resume building software, whether you just want a tool to change the appearance of a document or you need a complete overhaul. Even if you think your CV is top notch, you might have forgotten vital pieces of information, or could benefit from a bit of interview advice. This is all available through CV building software, with plenty of online help and advice for job seekers, including mailing lists and links to employment agencies. So, if you (or someone you know) are looking for a new career, resume writing software is always worth a second look. Now straighten that shirt, check your breath, and go get that job! Good luck! We remember the days before digital cameras were everywhere. The days when you had to take your camera film to the shops to be processed, returning days later to find out whether or not you’d held your finger over the lens. Then you’d order copies, making sure not to open the little black tubs and exposing the films to light. Another wait, then you’d pay your huge printing bill and send the snaps off to family members, where they’d get lost en route in the post. Ah, those were the days. Or, perhaps they weren’t quite as brilliant as we remember. It’s hard to deny that photography has become a much simpler process since the advent of digital cameras, and that sharing your photos has become much more efficient. If you’re an avid amateur or a seasoned professional photographer, you may want to share your pictures with friends, family, or even the public. If so, you’re probably going to love Photo Sharing Websites. What is a photo sharing or online photo album website? Simply put, it’s an online space to upload, edit, store and share your photographs. Whilst some of these sites focus on editing tools, others allow you to link up with social networking sites to share your snaps. There are even places to sell your photos online, options to print them or even convert them into photo products (such as mugs or t-shirts). Now that anyone can pull off a few decent photos, checking them on their digital screens and adapting the images online, there are a lot of sites wanting to help you to store your snaps. Whether you want to create a personal gift for a loved one, or simply store your millions of photos online, photo storage sites are great services. Our highest rated photograph sharing website was Phanfare. 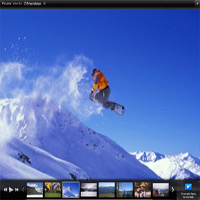 Phanfare allows you to upload high quality photographs and videos (of up to 20 minutes each) as well as offering some great editing tools. SmugMug comes in second, with unlimited storage space and millions of members, with an iPhone app which lets you create a geographic timeline with photos. They also offer printing options where you can produce gifts. The widely-used Instagram takes our third top spot, offering free services and some great apps, and geotagging. It’s a simple but effective tool that really works to help you share your digital photos. If you’re stuck in the pre-digital days, don’t worry. Those old photos aren’t lost, either. You can scan them or have them converted to digital files, meaning that your treasured photos can be sent to friends and family via email or through one of the websites we’ve reviewed here. After that, you can keep adding to those memories, building family albums as a way to share your more recent experiences and remember the older ones. If you enjoy taking photos, whether it’s just on your phone or using state of the art photo equipment, there are plenty of storage and sharing options to take advantage of, many of which offer free features. Whilst some cater for everyday snaps, others are much more targeted towards artists or professionals who wish to play with their work and share it with appreciative audiences. Remember the good old days, back when you’d just left school? You spent the summer with that great group of friends, just walking the train lines and skipping stones? Wouldn’t it be great to meet up with that old gang again, to share stories and find out what happened? Maybe you could even take a stroll along the tracks again. 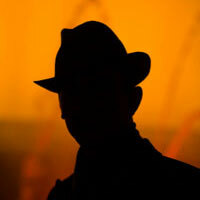 Unfortunately, it’s not always easy to find out where someone is, even with tools like Facebook. Whether you’re hoping to reunite with old friends or flames, or simply wish to find out a bit more about someone, Background Check websites can offer you a variety of information to help you in your hunt. Essentially, background check services are huge databases made up of information which has been kept on all sorts of people. Whether it’s a criminal record or just a previous address, you can locate plenty of data on almost any person, particularly in the US. Consequently, they’re ideal for individuals who are looking for someone’s history, or for human resource purposes within companies. Some services even allow you to check the validity of employer references, offering contact information such as phone numbers and addresses. Information is also kept on past addresses and home ownership, so you can discover the ownership history of a particular building. The benefits of these kinds of sites might be quite obvious: you can access information about friends, family, potential employees and more. You can access public records to build a picture of someone or to check that they’ve been honest, or simply to get their phone number and to give them a call to see how they’re doing. Accurate information is rarely free, however, and there are certain caveats to law which mean people are entitled to degrees of protection regarding their data. The best personal history check websites will provide advice on how to find information on someone, but also offer tips on how that information can be legally used. Our favorite background checking website was US Search, offering affordable background checks for a range of needs. It includes files on US citizens and foreign nationals. You can also check and potentially edit your own records. Our number two choice was Spokeo, which allows you to access public records as well as information on a person’s social networks. This makes it ideal for checking on a potential employee’s public profile online. Meanwhile, Intelius provides detailed search options and relevant details for regular people (rather than a lot of law-speak). However, there are plenty of background research websites to try out, some with more information than others, and some which even offer human-led research services to help you find the information you’re looking for. This takes out all the stress and work for you, putting a professional researcher at the driving seat. Whether you wish to investigate an employee’s criminal record or simply find out more about a long-lost friend, background check websites can offer an affordable, simple way to access public data in an instant. Enjoy the reunion, and don’t forget to look both ways before crossing the tracks!